All the vineyards used to produce this wine are located in the Herrenweg area in Turckheim and were planted in the 80s and early 90s. Young vines on these gravelly, warm and well drained soils can be very vigorous and for the Pinot-Gris grape it often means an evolution towards botrytis or noble rot. Not necessarily a default, but leading to the production of richer/sweeter wines. Now, the vines start to show much more maturity and are entering gradually in their adulthood, showing more reasonable vigour. It means that it is easier to control the botrytis development and also obtain purer and drier style of wines. Despite the heat and precocity of 2015, Pinot-Gris was harvested at reasonable ripeness, allowing us to produce a very elegant dry wine. 9/2016: bright pale yellow colour. Already quite expressive nose, going for a seductive fruity aromatic profile. Like many other 2015, aeration will allow it to show all its potential. The palate shows a surprising elegant mouthfeel, quite nervous and fresh. There is no excessive weight at all in this wine and the very dry finish contributes to make it extremely enjoyable already now. 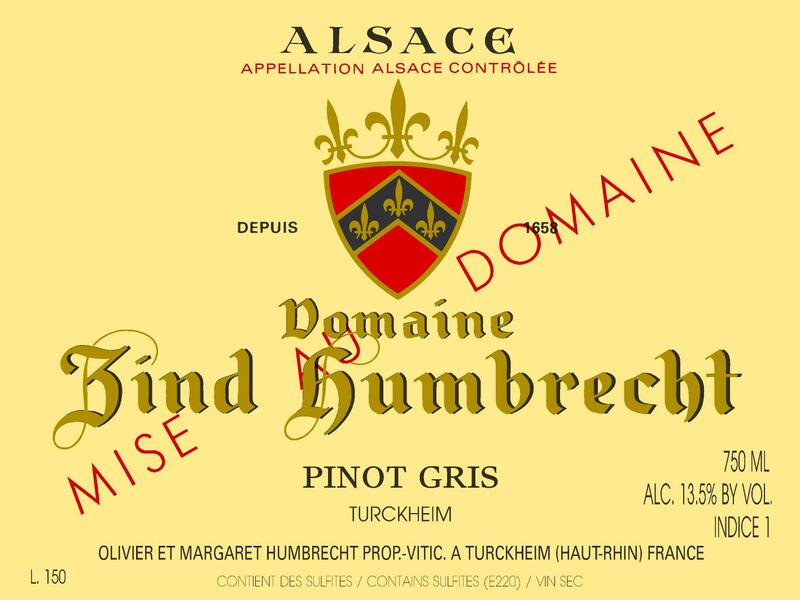 Very dry Pinot Gris wines can sometimes be dull because harvested too early in order to avoid over-ripeness. This isn’t the case here! There is a serious structure and enjoyable ripe acidity that give the wine an interesting length without overweight.